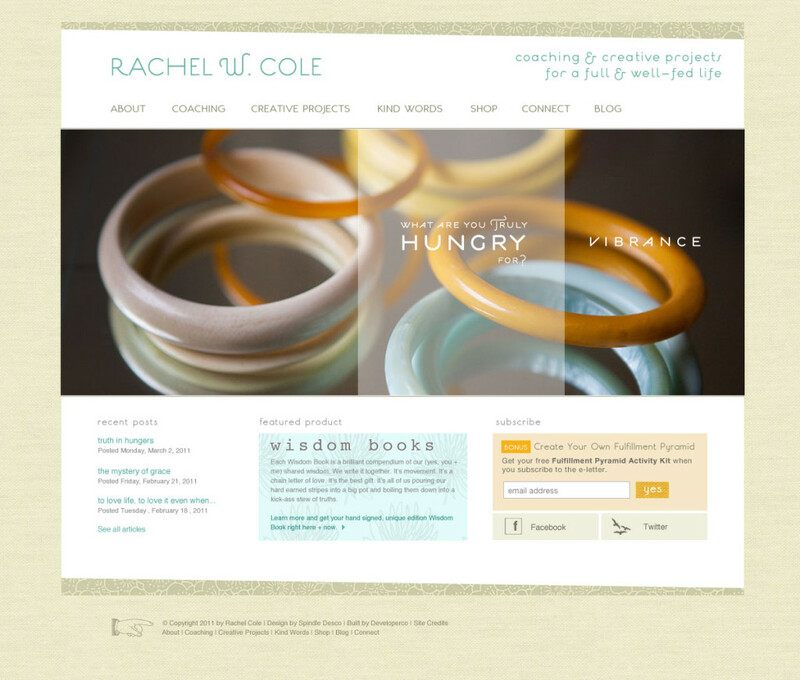 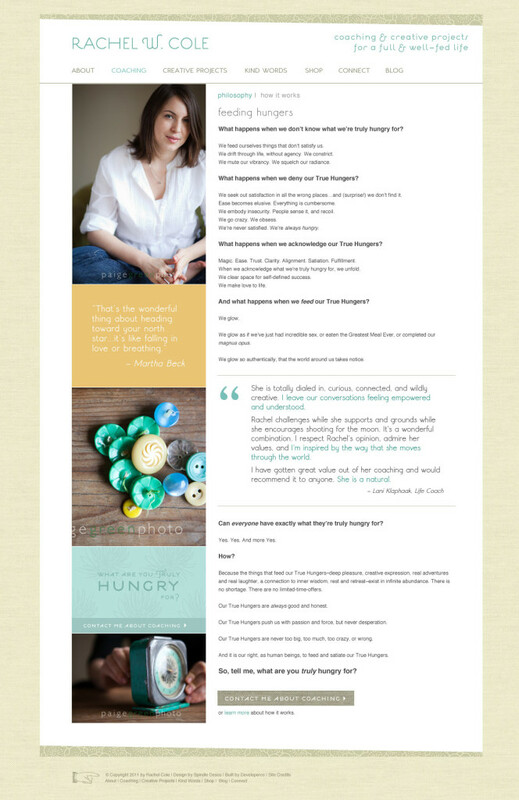 Rachel W. Cole is a certified life coach who wants to know: What are you truly hungry for? 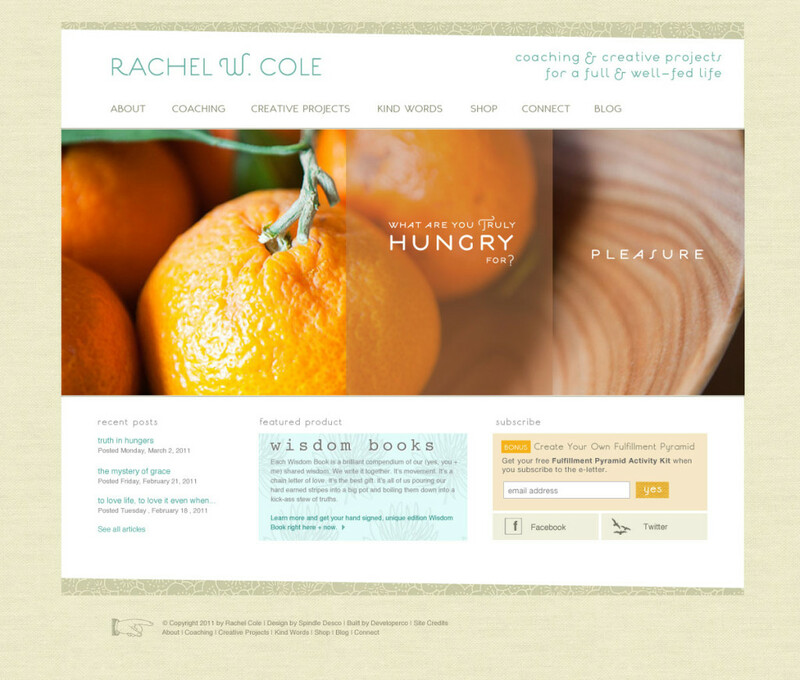 Rachel is a vibrant and creative person with many interests who wanted to bring her professional and personal interests together into a whole offering for her clients. An avid collaborator and creator, we created a website for her that could gracefully house everything from media coverage to project documentation while still creating an intimate space to muse on the nature of our desires.